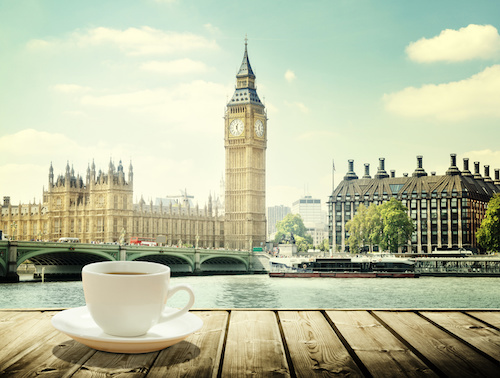 Food & drink: an exporting success story, but where to next? Food and drink exporting is a British success story. Exports of food and drink grew to a record £20.2 billion in 2016, with a 2% annual growth rate over 2011-2016. And this trend has accelerated in 2017 as demand for quality British goods has strengthened and the weaker pound has helped make UK exports more competitive. Yet, despite this success, only 20 per cent of food and drink manufacturers currently export. With Brexit approaching, the EU also remains the largest export destination. Though its share has declined from 64% 2011 to 60% in 2016, as exports to other regions have grown at a faster rate. Asia and Oceania remain the second largest export region, closely followed by North America – each accounting for around 13% of total exports. 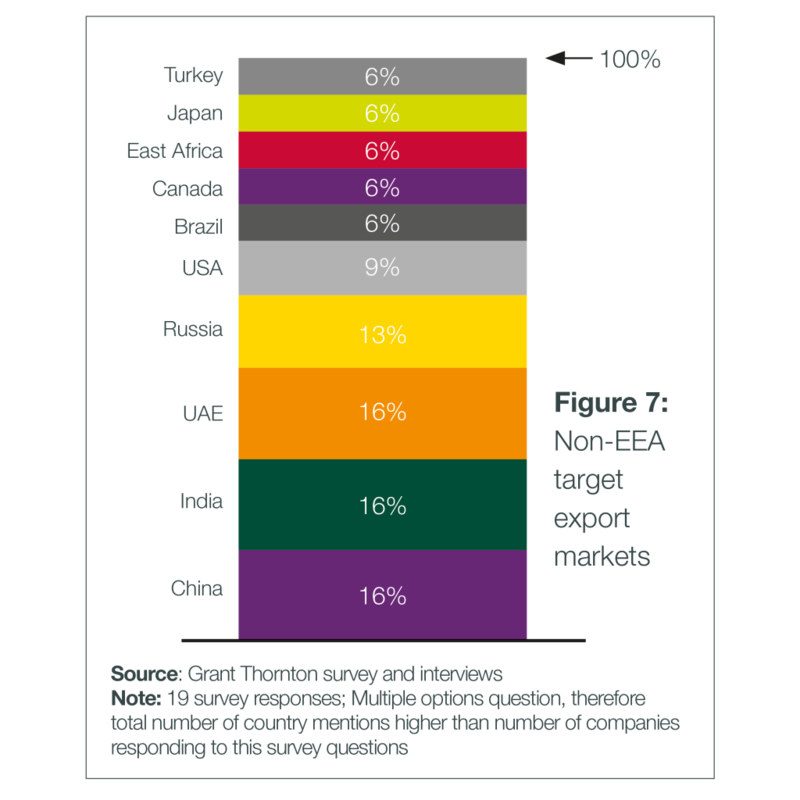 Which countries do businesses want to export to and what’s stopping them? FDF recently commissioned a study on the economic contribution and growth opportunities of food & drink manufacturing, which made for interesting reading on exports. Food and drink manufacturers see the greatest export potential in EEA markets given their proximity, historical ties and legislation harmonisation. However, rich markets with similar language and consumer dynamics (USA, Canada, Australia, New Zealand) could also provide an opportunity for export. 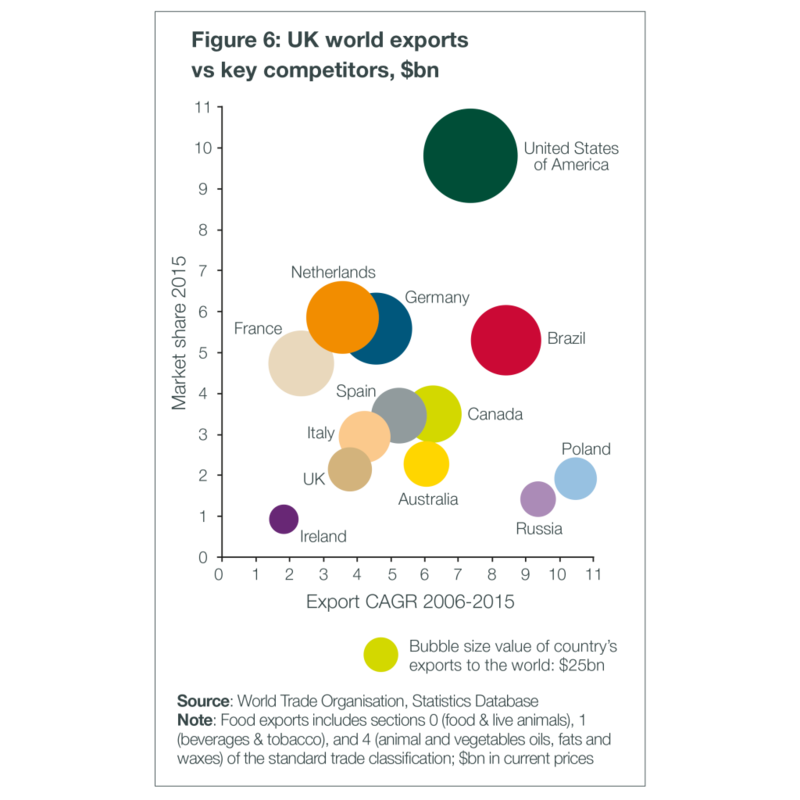 The complexity and costs associated with investing in unfamiliar markets and the need to identify a local distributor (a reason the UK lags behind EU competitors in targeting China, as shown by lower market share and growth in exports). Uncertainty on consumer demand and the affordability of UK products for local consumers. Divergent legislation and complex Food and Drink Administration approval requirements in the USA. How can we boost exports? To help turbocharge exports, FDF has called on Government to work in partnership with industry to scale-up its provision of specialist export support in food and drink. This would take advantage of increased demand for UK products overseas and the opportunities that leaving the EU is expected to create. Growing support for exports will help to exploit the huge untapped potential within our sector and take advantage of the growing demand for quality British products. This in turn will showcase the UK as a modern and innovative food tourism destination of choice across the world.